The DensaDeg® Clarifier, Softener and Thickener is the water and wastewater industry’s most robust, versatile process on the market. This high-rate system combines optimized flocculation, internal and external solids recirculation, thickening in two conjoined vessels to maximize hydraulic loading and treatment efficiencies. The proprietary blend of energy input and high volume solids recirculation reduces waste volumes and results in rapid settling operation and high quality treated water. 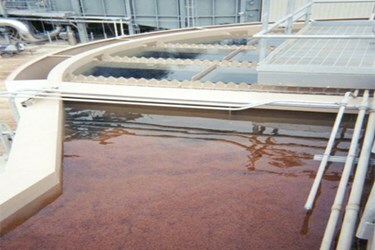 The DensaDeg® process is proven in hundreds of installations on nearly all physicalchemical separation applications in the municipal drinking water, wastewater and industrial markets.